This ride was the first Skinny Tyres Official Etape Caledonia Training Ride of 2011. With the recent snow, we were uncertain as to what the weather would be like, but we shouldn’t have worried. 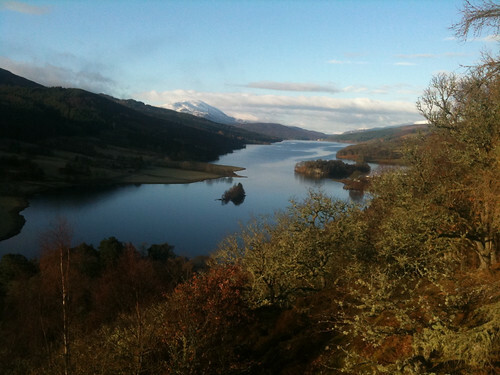 The day dawned clear and frosty, with Loch Tummel, mirror like, sparkling in the early morning sunshine as it reflected the snow capped summit of Schiehallion. 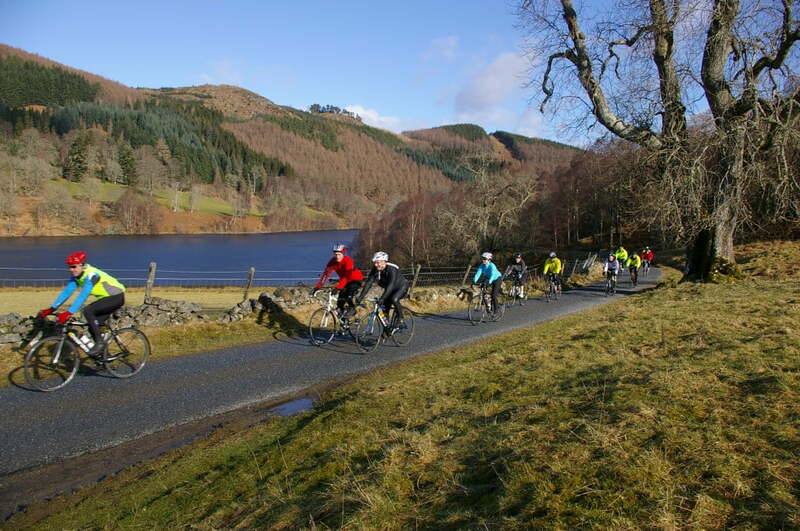 A group of ten cyclists gathered at Escape Route in Pitlochry to set of for a 37.5 mile loop around part of the Etape Caledonia course. The riding and company were fantastic and the group worked well together. We stopped at House of Menzies for a fantastic spread of soup, sandwiches, tea and coffee and shortbread and then back to Pitlochry for a post ride massage. You will be able to find lots of photos from the day on our flickr page at Flickr.com.